Think you’re more likely to have your identity stolen via your computer? Think you can’t do anything about identity theft? Then think again! More and more these days, consumers are being warned about identity theft. Newspaper and magazine articles, television reports, flyers in your monthly bills, even on-hold messages give the warning signs of identity theft. A Federal Trade Commission report cites 160,000 identity theft cases reported in the United States in 2002. In less than two years, the number of U.S. identity theft cases rose to 9.3 million! But what is identity theft and how can it happen? And should we even worry about it here in our rural community where we feel safe from many crimes. Definition: Identity theft occurs when someone uses your personal identifying information, including your name, social security number or any account number, for unlawful activities. And, you may not realize it, but identity theft is a federal crime. In addition to the alarming statistics, you may be surprised to learn that identity theft is more likely to happen from a stolen wallet, checkbook, credit card, or junk mail. 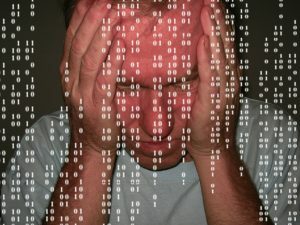 According to the 2005 Identity Fraud Survey Report, in 2004 computer crimes accounted for 11.6% of identity theft, while 68% came from paper sources. On average, an identity thief will accumulate $20,000 to $30,000 in bills – in the victim’s name – on credit cards and similar loans the victim doesn’t even know about until notified by the lender, collection agency, or police. Think about it … you’re in the grocery store and realize you’ve missed the peanut butter on your list. You may not think twice about leaving your personal belongings in your unattended cart as you go to retrieve the missed item. But, think again. Your purse, wallet and checkbook contain a wealth of information about you, your bank accounts and credit cards. In the short time it takes to turn away, your identity could be in the hands of someone else. Never leave your purse, wallet or checkbook unattended, even in familiar surroundings, even for only a few seconds. You grab the mail on the way in the house and quickly flip through the stack to find credit card offers, home equity “E-Z” checks and offers for loan consolidation. Before you disgustedly deposit all this junk mail in the trash, stop! Shred all junk mail, bank statements and credit card bills before putting them in the trash. Although strangers can silently attack your identity, you should also protect your vital personal account data from friends, family and acquaintances. According to the 2005 Identity Fraud Survey Report, identity theft from family members occurred in 32% of reported cases and from a friend, neighbor or in-home employee in 18% of reported cases. Don’t leave papers containing your personal information, especially your social security number, lying around the house for anyone to steal. The surveys, news reports and warnings from credit card companies all add up to one fact: You can help protect yourself from identity theft by safeguarding your identity at home, at work and where you shop. And … protect yourself with identity theft insurance. This specialized insurance reimburses victims for the costs related to restoring identity and repairing credit. With identity theft on the rise, Identity Fraud Expense Coverage from Bryton Insurance Agency is a positive, proactive step you can take to protect yourself from the effects of this disturbing crime. Click here to contact Bryton Insurance Agency today to get more details about Identity Fraud Coverage.